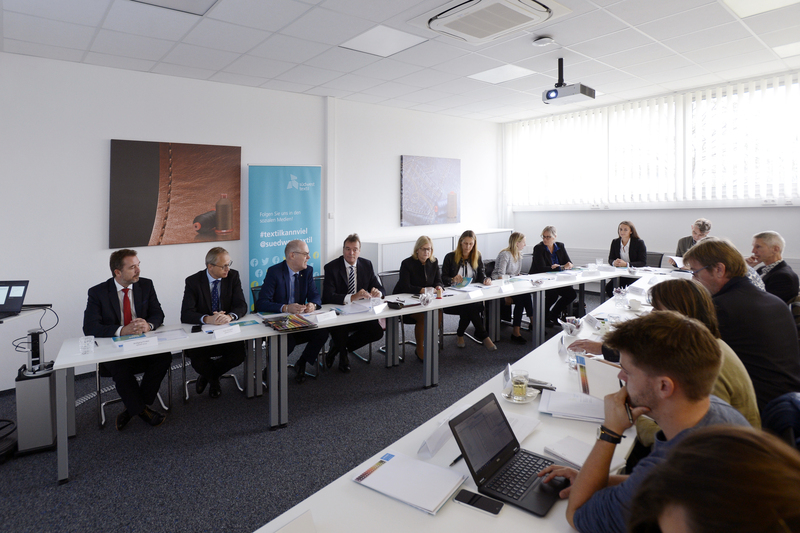 Recently, the AMANN + Südwesttextil annual press conference took place at AMANN headquarters in Bönnigheim, Germany. 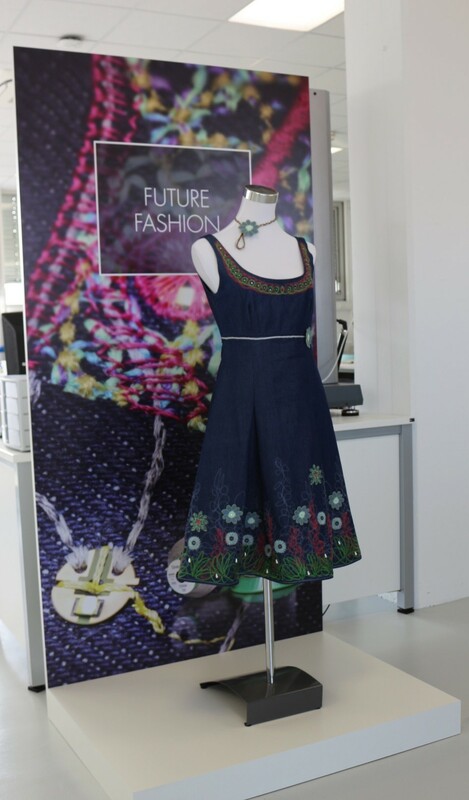 The AMANN Showroom has been its highlight: it featured 8 exhibits, that underline the diversity of the textile industry and give an outlook on how diverse the future of the textile industry will be. From functionality to design and safety, threads are used in many different fields. They fulfil different purposes depending on the application, always meeting the same expectations: high quality in form, colour and function. «For our customers, we are not just a manufacturer. 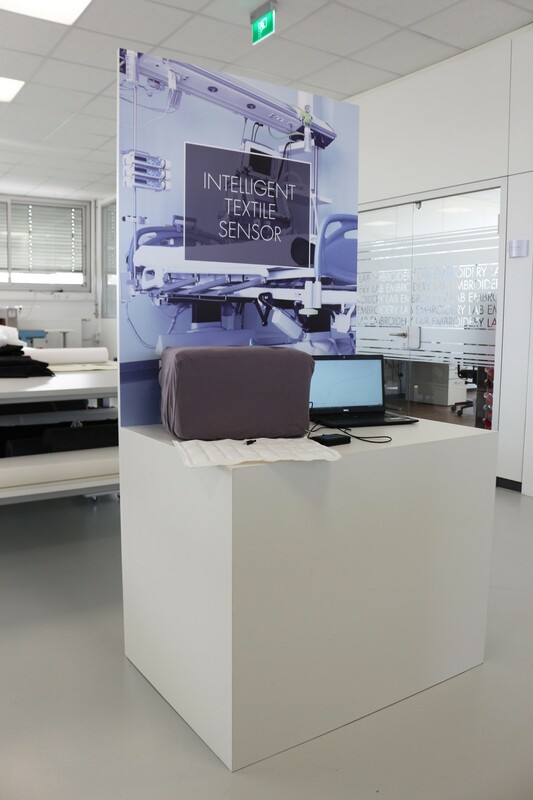 We are also a point of contact for textile questions and frequently participate in the entire development process» says Bodo Bölzle, CEO and chairman of AMANN. To meet these specific expectations and allow it to fulfil its advisory role, the company targets the recruitment of experts in a wide range of different fields. «We employ textile engineers alongside automotive specialists and electrical engineers. That gives us extra consulting expertise and expands the range of potential applications» declares Bölzle. AMANN’s pioneering developments include smart yarns and threads that can transmit electricity or data. 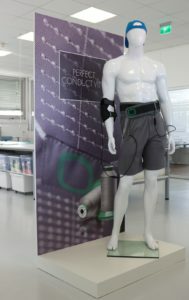 Other application scenarios include textile moisture sensors or special embroidery threads that securely attach complex composite materials like carbon and glass fibre fabrics. As a consequence of the increasing elastic materials in the market, sewing threads have also had to face considerable challenges – they must have maximum tensile strength and perfect sewability. In 2004, AMANN has launched sabaFLEX, the world’s first elastic sewing thread. This dress embroidered with LEDs was designed by AMANN’s embroidery and digitizing expert Bonnie Nielsen and was created by the STC team. It features the conjunction of classic embroidery and conductivity in the fashion sector. Along with the classic apparel industry, the automotive industry is an important division at AMANN. As an automotive expert, AMANN knows how to bring design and function in line with the demanding technical requirements of this industry. Sewing threads are processed in car interiors (such as car seats, steering wheels, door panels, etc.) as well as in car safety elements such as airbags. The series of smart yarns at AMANN also include a line of conductive sewing and embroidery threads. For instance, being processed in the back pain relief belt, the smart threads conduct electrical impulses and thus help in pain therapy. Unique carbon finish at the highest level. The innovative embroidery process of our metallic embroidery thread ISAMET on coal fibres gives an exceptional sheen and 3D effect to the designs. High stability together with being extremely low weight are some of the advantages of composites, making it suitable for use in electric vehicles, sports equipment, or aerospace. Bango is a simple and novel sound system in a plain cardboard box. It is a sound dispenser made of carbon. Because of its special structure and material properties, the “spider” spreads the acoustic waves in a special manner into different surfaces, thereby allowing almost any object to become a musical instrument. 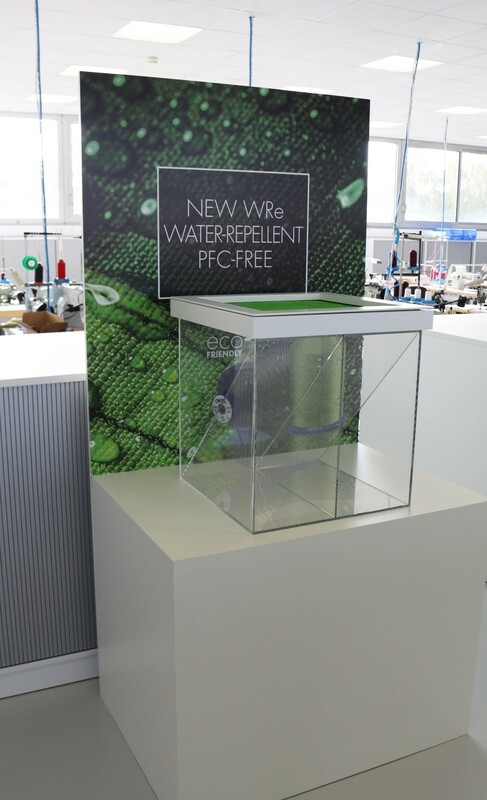 AMANN’s Road to Zero: the new WRe finish, a prerequirement for water-repellent seams, has become even more eco-friendly, as it it completely free of PFC. 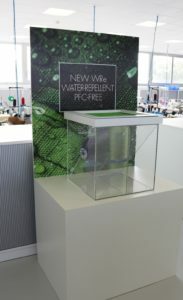 AMANN Group takes enviromental and consumer protection seriously, participating in the Detox campaign by Greenpeace and ensuring the certification of almost all its products according to the stricter requirements of STANDRAD 100 by OEKO-TEX, Appendix 6. Sustainable action is one of the AMANN Group’s core values. The company therefore sets high environmental standards, based on German specifications, at all its sites. «For us, profitability and sustainability go hand-in-hand. Investments in resource efficiency and environmental safety are investments in the future» says Bölzle. AMANN routinely participates in environmental initiatives and supports cultural and charitable institutions in the region. Established in 1854, the AMANN Group is a globally reknown manufacturer of high-quality sewing threads, embroidery threads and smart threads and yarns. Together with customers and partners, the Mittelstand company in Bönnigheim develops intelligent products and individual solutions for the market needs of today and tomorrow. AMANN combines tradition and innovation to produce functional sewing and embroidery threads for diverse applications. AMANN sewing and embroidery threads are produced in the company’s own factories in Europe and Asia. 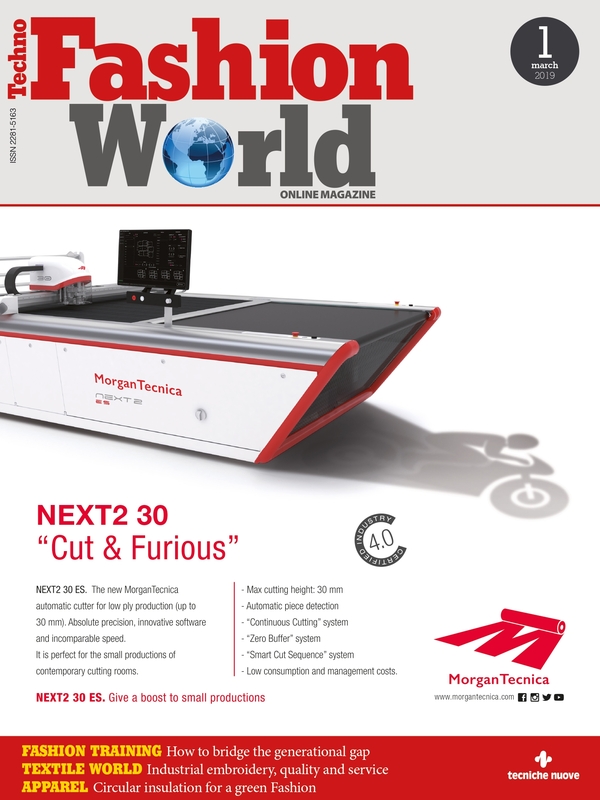 Subsidiaries in 20 countries are close to the relevant markets. The headquarters of Amann & Söhne GmbH & Co. KG are located in Bönnigheim, near Stuttgart. The management board comprises Bodo Th. Bölzle (CEO and chairman), Wolfgang Findeis (CFO) and Peter Morgalla (COO).